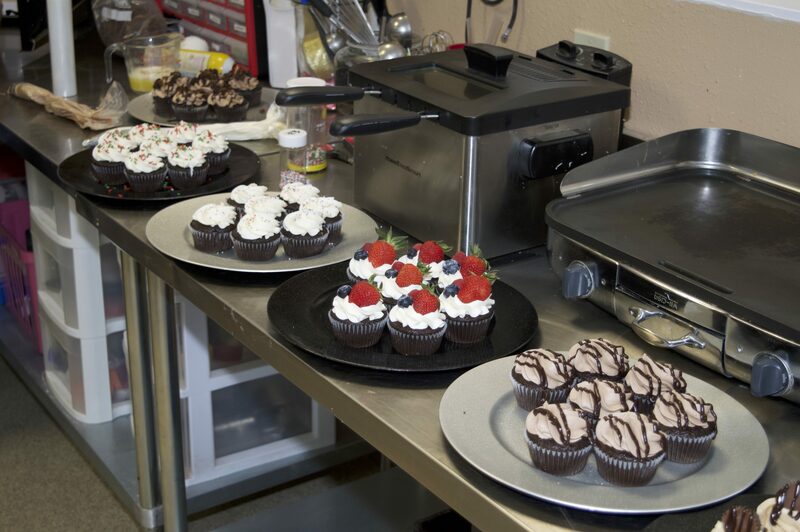 ​We pride ourselves on making amazing cupcakes with unique flavor combinations. Vanilla cupcake with raspberry filling topped with vanilla buttercream & fresh raspberries. Chocolate cupcake dipped in chocolate ganache topped with peanut butter buttercream & peanut butter cup. Vanilla cupcake with sprinkles mixed into it topped with vanilla buttercream and more sprinkles. Chocolate cupcake filled with raspberry filling topped with raspberry buttercream & fresh raspberry. Vanilla cupcake filled with strawberry marshmallow fluff & topped with cream cheese frosting. Chocolate brownie cupcake topped with chocolate buttercream, brownie chunks and ganache. Lemon blueberry cupcake filled with lemon curd topped with blueberry cream cheese & fresh blueberries. Vanilla cupcake topped with vanilla buttercream toasted coconut, samoa cookie and caramel drizzle. Vanilla cupcake with cookie dough center topped with vanilla buttercream, cookie dough & chocolate. Chocolate cupcake dipped in ganache, topped with buttercream, sprinkles and a cherry. At Star Spangled Batter, we take pride in our products. We can do anything from a simple birthday cake to a beautiful wedding cake. 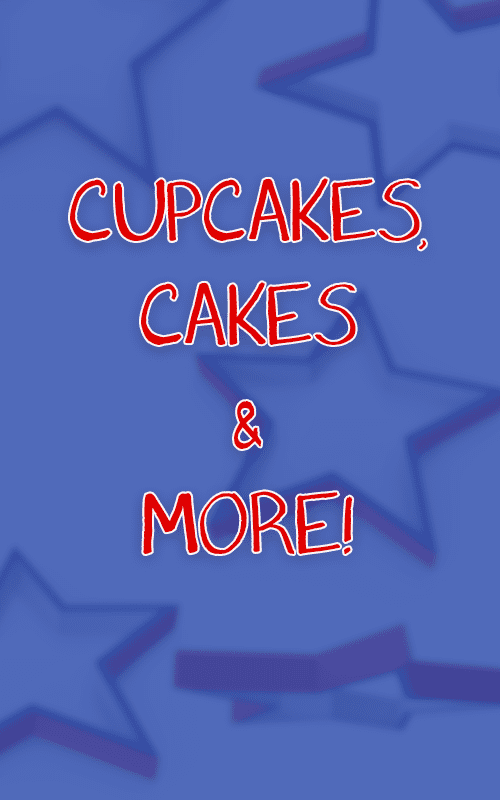 For cupcake flavors of the day, visit our Facebook page!